ZX-Twin Galaxy Note 9 is a Dual SIM card adapter for Android smartphones Samsung Galaxy Note 9. You install and use two SIM cards (nano SIM and micro SIM size) on your Samsung Galaxy Note 9 mobile phone. Call, send and receive your SMS/MMS, access Internet/data with your 2 SIM cards on one and unique Galaxy Note 9. 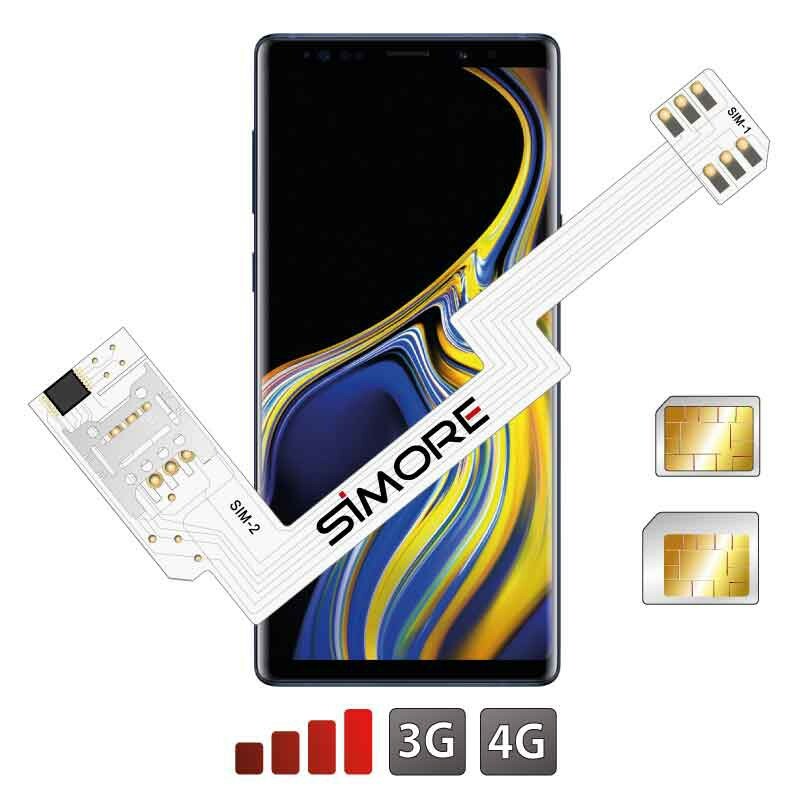 ZX-Twin Note 9 Dual SIM adapter uses innovative and futuristic design, together with the latest flexible printed circuit board technologies (Polyimide kapton) to ensure thinness and strength.